Cadence Magazine calls John Fremgen “…an adroit craftsman on the strings slapping and popping away on electric or plucking resonant tones on acoustic.” He can be seen performing in Austin with various artists including Paul Glasse, Mitch Watkins, Abra Moore, Gerry Gibbs, and Jeff Hellmer. He has performed with many jazz luminaries including Jamie Findlay, Shelly Berg, Rick Margitza, Gary Foster, Leni Stern, Ernie Watts and Larry Koonse. 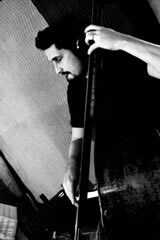 He is an associate professor at The University of Texas where he teaches jazz improvisation, jazz theory, jazz history, jazz bass and directs the AIME ensemble. He has performed, taught and conducted across the US as well as Switzerland, Russia, and Holland. He has appeared on many jingles and national broadcasts including Morning Becomes Eclectic, Late Night With David Letterman and the Bravo documentary In My Life with George Martin. His bass playing can be heard on the TV shows Party Of Five, Dawson’s Creek and the motion picture Down To You and commercials for Sonic, Starburst, Xerox and Ford. He records for the Viewpoint record label with which he has released three solo CD’s, Meanwhile, Pieces of String and If Not Now, featuring Peter Erskine, Shelly Berg and many others. John Fremgen endorses Acoustic Image amplifiers and MTD basses. Fremgen shows himself an adroit craftsman on the strings, slapping and popping away on electric or plucking resonant tones on acoustic. John Fremgen is the best bass player on the scene today-at home in virtually any setting or lineup. Fremgen is consistently on his toes, strong and energetic, and the group swings hard and happy. [Fremgen’s] bowed, upright bass passages stir the soul. This band was a very pleasant surprise…. “A Nightingale Sang in Berkley Square” gives scope for a fine solo from Fremgen. Professor Jeff Hellmer, Director of Jazz Studies, brings a wealth of experience as an educator and performer to the UT jazz program. He maintains an extremely active performing and teaching profile, appearing frequently on the central Texas scene as well as throughout the United States at venues ranging from the Litchfield Jazz Festival to the Idyllwild Arts Academy. 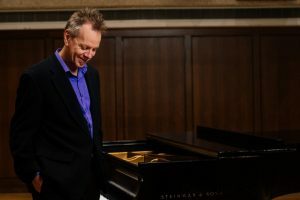 Twice named a finalist in the Great American Jazz Piano Competition, he has performed, taught and adjudicated jazz throughout the United States as well as in Russia and Taiwan. His recording, Peak Moments, was declared an “exciting addition to the modern jazz piano catalog” by the All Music Guide. He has been a soloist and guest conductor with the Dallas Wind Symphony twelve times, and has recorded with classical saxophonists Dan Goble and Harvey Pittel. Professor Hellmer developed a MOOC (Massive Open Online Course) in Jazz Appreciation that was received with critical acclaim on the EdX platform, with an enrollment of over 19,000 students! In this course, he partnered with the learning technology company Cerego to create innovative new online content in jazz studies. As a result, Professor Hellmer was recently named a finalist for the inaugaral edX Prize for Exceptional Contributions in Online Teaching and Learning. 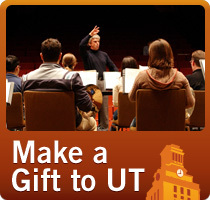 As the long-time director of the UT Jazz Orchestra, he has led performances of the band at the North Sea and Montreux Jazz Festivals, as well as appearances with jazz masters such as Chris Potter, Joshua Redman, John Clayton, and Kenny Garrett. In 2009, Professor Hellmer was named to the Academy of Distinguished Teachers, one of the highest awards given for teaching at the university. His current and former jazz piano students have garnered impressive recognition for their creativity and individuality. He is co-author of the textbook Jazz Theory and Practice, published by Alfred, and his compositions for jazz ensemble are available through UNC Press and Concept Music. Dr. John Mills is a saxophonist and composer/arranger based in Austin, Texas, where he pursues a wide range of concert and recording projects within the jazz idiom and beyond. He has enjoyed the opportunity to perform with such internationally prominent jazz artists as Steve Swallow, Carla Bley, Butch Miles, Kenny Wheeler and Maria Schneider during his career. John currently leads the high-energy, ten-piece fusion ensemble Times Ten, which features his compositions and whose acclaimed first CD, Caffeine Dreams, is available on Fable Records. Outside of the jazz realm he has worked on stage or in the recording studio with such R&B icons as Bonnie Raitt, Dr. John and Aretha Franklin, alternative pop artists David Byrne and Jonny Greenwood (Radiohead), and country stars including Ray Benson and Asleep at the Wheel, Lyle Lovett, and Willie Nelson. His orchestral arrangements for major artists such as these have been performed by symphonies across the U.S. and abroad. John has composed extensively for both professional and university jazz ensembles, including a number of works published by Walrus Music. He was awarded First Prize at the 2008 ArtEZ International Jazz Composition Contest in the Netherlands for If Memory Serves, and in 2009 he collaborated with UT Professor Jeff Hellmer to score the first full orchestration of Duke Ellington’s unfinished folk-opera, Queenie Pie. Among his educational activities, Dr. Mills has presented jazz master classes at the Royal Danish Academy in Aarhus, the Rimsky-Korsakov Conservatory in St. Petersburg, the University of Greifswald (Germany) and the University of Ljubljana in Slovenia. He is an Associate Professor of Jazz Studies in the Butler School of Music, where he teaches jazz saxophone, composition, arranging and history. Dennis Dotson, specialist in jazz trumpet, has been a professional trumpeter for forty years, having played in the house bands in Las Vegas and free-lanced in New York City and Houston, Texas, where he now lives. He was trumpet soloist in the Woody Herman and Buddy Rich big bands and as a small group player has performed alongside Joe Lovano, Joe Henderson, Marvin Stamm and David Liebman, among others, and has performed in big bands with such as Carl Fontana, Bobby Shew, Tom Harrell, and Kenny Wheeler. He is on the faculty at Houston Community College, where he teaches private lessons in trumpet and improvisation and is jazz trumpet instructor at the University of Houston. He has led several All-Region high school jazz bands and has been a guest soloist/adjudicator/clinician at over forty high schools and colleges. He is very active as a trumpet player in jazz and commercial circles throughout the state of Texas, has performed with the Houston Symphony Orchestra, and has been a sideman on numerous jazz recordings. wsalz@utexas.edu Wayne Salzmann II is an incredibly versatile and active drummer with nearly 20 years of experience. Born and raised in Neenah, Wisconsin, Salzmann was exposed to a wide variety of music at a young age. By the time he was sixteen, he was playing regular gigs, had won the DW/Zildjian drum solo competition, and was teaching drum lessons at a local music store. He earned a full-tuition music scholarship from the University of Wisconsin-Stevens Point where he received a student-research grant to travel to New York City and study with legendary drummers Bill Stewart, Joey Baron, Billy Martin, and Ari Hoenig. In 2008, Salzmann was awarded a teaching assistantship from the University of Texas, and moved to Austin to pursue a masters degree in music. While in Austin, he met Grammy winning Guitarist Eric Johnson, with whom he is currently touring and recording. He has performed with Eric Johnson, Joe Satriani, Joe Bonamassa, Bobby Mcferrin, Robben Ford, Albert Lee (Eric Clapton), Chris Potter (Steely Dan), Carlos Sosa (Jason Mraz), Kevin Lovejoy (John Mayer), Ephraim Owens (Sheryl Crow), Jeff Coffin (Dave Matthews Band), Joe Lally (Fugazi), John Jorgenson (Elton John), Oz Noy (Chris Botti), Roscoe Beck (Leonard Cohen), Red Young (Dolly Parton), Jake Langley (K.D. Lang), Bob Schneider, Sonny Landreth, Esperanza Spalding, Kat Edmondson, Suzanna Choffel, The Yellowjackets, Romero Lubambo, Andre Mehmari, Carmen Bradford, Gabriel Santiago Quintet, Tameca Jones, and The UT Faculty Jazz Quintet. Salzmann has been featured on dozens of albums and music videos with a wide variety of artists in Jazz, Blues, Rock, Funk, R&B, Soul, Singer-Songwriter, Brazilian, African, and Classical genres. He has also recorded for multiple commercial jingles, television shows and Hollywood film soundtracks. Salzmann has toured extensively throughout the United States, Europe, and Brazil, and he played drums for the 2011 Eric Johnson Up Close Tour and 2012 EJ World Tour. He has performed everywhere from club gigs to Carnegie Hall, to International Music Festivals, and Amphitheatre gigs supporting Steve Miller Band. Wayne Salzmann II is known for his ability to fit into a wide variety of genres, and serve the musical styles while expressing his own unique voice from behind the drums. He also writes and arranges music for his own project called Wayne Salzmann’s Groove Society. 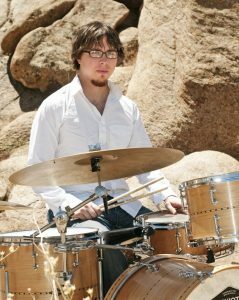 Salzmann currently holds both bachelor’s and master’s degrees in music, and is the drum-set Instructor at the University of Texas at Austin. He has been teaching privately for nearly 15 years, and has given master classes at Universities and Music Conservatories worldwide. He proudly endorses DW Drums, Pedals, and Hardware, Zildjian Cymbals, Evans Drumheads, Puresound Snare Wires, and Pro-Mark Drumsticks, with whom he has a signature model drumstick. 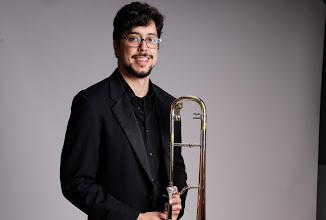 After graduating with his Masters degree in Studio Music and Jazz from the Frost School of Music in Miami, Florida, Paul moved to Austin, Texas and has quickly become one of the city’s first call trombonists. He is currently playing and touring with musical groups The Polyphonic Spree, What Made Milwaukee Famous, Progger(an offshoot of Snarky Puppy), The Royal Dukes, and Summit Recording artists Jazzbonez, among many others in the Austin area. In the spring of 2016, Paul was featured as the guest artist and clinician with the University of Arizona Concert Jazz Band for the Arizona Jazz Festival. Paul was a featured performer at the 2015 TMEA convention in San Antonio and was also featured in a showcase at the American Trombone workshop in March of 2015. In November 2014, Professor Deemer had the honor of conducting one of the Region 26 jazz bands in Austin and was also selected to give a masterclass at the renowned Booker T. Washington High School of Performing Arts in Dallas. Paul can regularly be seen performing with his own group at the Elephant Room and the Brass House. He recently performed in the horn section for Frankie Valli in August of 2016 and February of 2015, Robert “Sput” Searight’s(Snarky Puppy) the Sput and Nate show, Walkmen during FFFun Fest 2014, and in the Grooveline Horn section for The Kenny Wayne Shepherd Band in Shreveport, Louisiana and Austin, Texas. Paul teaches and gives clinics throughout the state of Texas and runs a Jazz Concert Series in Austin, Texas, where his band is regularly featured. Paul Deemer plays Rath trombones and Warburton mouthpieces. 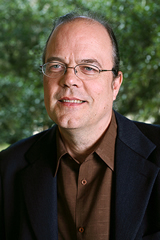 Bruce Saunders is an award-winning guitarist, composer, author and educator. After receiving his Masters degree in jazz/classical guitar from the University of North Texas in1986 he moved to New York city and began his musical career in earnest and has since recorded, performed and toured with some of the worlds best jazz musicians. A partial list would include: Jack DeJohnette, Dave Holland, Bill Stewart, Peter Erskine, Kenny Werner, Mark Murphy, John Riley, Ben Monder, Curtis Fowlkes, George Garzone, Leon Parker, David Berkman, Gerald Cleaver, Steve Cardenas, Donny McCaslin, Scott Colley and many others. He has performed at many renowned New York jazz venues including Birdland, The Blue Note, Smalls, Fat Cat, The Jazz Standard, The Knitting Factory, Barbes, Detour, Smoke, Tonic and many others. He has been a faculty member of the Berklee College of Music, one of jazz music education’s most prestigious schools, since 1993. He is currently teaching jazz guitar at Berklee, The University of Texas Austin and Austin Community College as well as private lessons with select students. He has developed two popular courses for BerkleeMusic (Berklee’s online university): Jazz Guitar and Jazz Guitar 201. He has also taught at New York University, The New School and conducted many clinics and concerts in countries such as Colombia, Portugal, Mexico, Spain and Japan as well as throughout the United States. He has six CDs as a leader and has played on approximately 35 other recordings. His newest recording is entitled “Drift” and was released on the Strange Planet Records label in January 2013. He is the author of six jazz guitar method books published by Mel Bay Publications.